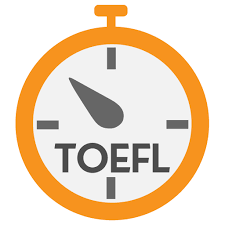 TOEFL is an English aptitude test designed by the American nonprofit educational institution ETS, and it is an ability test especially targeted for those who are non-English native speakers and have not attained a degree in a classroom where English was the primary language of instruction. Initially, TOEFL was separated into three distinct types, including the PBT (paper based test), CBT (computer based test), and the iBT (Internet-based test). Presently, most universities accept the iBT, and in most countries, test takers can only take the iBT, in which the test is given online, and the total score is 120 points. In a general sense, a score of 80 in the iBT is the minimum requirement for exchanging or applying to an overseas university, and 100 is the lowest entry requirement for graduate studies (nevertheless, better schools will have higher requirements). However, what is worth mentioning is that the results of this test are only valid for 2 years, and the duration begins on the test date (for instance, if your test was on March 10, 2015, your scores would be valid until March 10, 2017). Hence, when deciding when you will be needing the TOEFL and scores, you need to decide whether you will be in line with the expiration date (and also remember that this test is not something that you take once, and you’re done with for life!). Furthermore, since in recent years the local online forums and cram schools have gotten more and more skilled, and they strategically answer and systematically crack the test questions, there have been more and more students who receive very high scores. This has prompted the US institutions to raise their TOEFL requirement for entry on an annually basis. This is what we call an unsustainable effect that hurts those that come after us. Register to become a member, and construct your personal file (just as you would for other account setups). Attention to name (Chinese and English), gender, personal ID number, document number, and date of birth. Please double-check to make sure they are correct, as these basic important information cannot be changed later on. As for the other needed information, I believe that those who have established an account would understand, and so I will not repeat. 2. Pay for your test fee online. 3. Register for a test. Normal registration period is up until 7 days prior to the test date, and if you register within 7 days from the test, you will need to pay an additional fee for late registration. What’s worth pointing out is that, you need to be very selective about your testing spot at this stage. However, January and July through September are the hottest time for testing, and in a big city, it is difficult to find an ideal testing spot if you don’t register four to six months prior to the test. At this point, you may choose to take the test in a different city (or if you have a chance to participate in exchange program abroad, you may also take the test there). B) Several days prior to the test, there will also be a release of testing spots in different provinces and cities. But whether a particular city will release a number of spots on which date and time remains unclear. C) To cater to the large number of test-takers, NEEA may spontaneously decide to host more test sessions. But this also remains undecided. Therefore, the most important thing would be, to plan for your test date early after you have established the score you need, and to schedule a testing spot six months before you take the test! 4. Fill out background information questionnaire. After you finish this part, you will have just made an important first step toward taking the TOEFL test! In my own experience, most people are plagued with laziness, and although we know that we must take the test, it is hard to focus until we actually have to do it. Usually, it isn’t until a test-taker has finished registering that he/she becomes motivated and starts planning out a schedule for studying. Hence, why not register early and make up your mind early so that you can attain the best date and testing spot, and have sufficient time to study toward getting a good score!